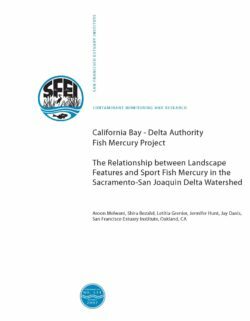 The goal of this study was to quantify the relationship between landscape features and mercury in sport fish. We hypothesized that spatial variation in sport fish mercury would most strongly relate to major point sources associated with mining activity, habitat features (e.g., abundance of wetlands), and watershed-scale patterns in mercury deposition from the atmosphere. Geographic information system (GIS) techniques were used to evaluate the influence of these features on the bioaccumulation of mercury in sport fish. In addition, we attempted to determine the most appropriate spatial scale for analysis of these influences. 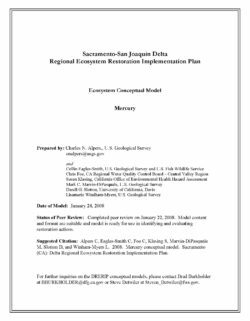 Fish mercury data were selected from a state-wide historical bioaccumulation database, which also included data collected by the Fish Mercury Project (FMP) in 2005. Based on the geographic distribution of the sampling locations, three species common across the study area were chosen for analysis: largemouth bass, channel catfish, and white catfish. For the time interval examined (1990 – 2005), the mean wet weight concentration for each species at a given location was calculated. By superimposing hydrologic flow paths with watershed delineations, we were able to determine flow direction and pathways from upstream sources to downstream habitats. “Fish watersheds” (watershed areas upstream of fish sampling locations) were created for a subset of locations in the CalFed Ecosystem Restoration Program Geographic Scope. Regions heavily influenced by mining within each watershed were also delineated. We examined landscape features in fish watersheds and within close proximity (circular buffers) of fish locations. Using a GIS database, several statistics were derived for each fish watershed area and buffer, including the percent covered by habitat features (vegetated vs. non-vegetated wetlands, permanent vs. temporary inundation), number of gold and mercury mines, total land area (km2), and total length (km) of all streams and rivers. 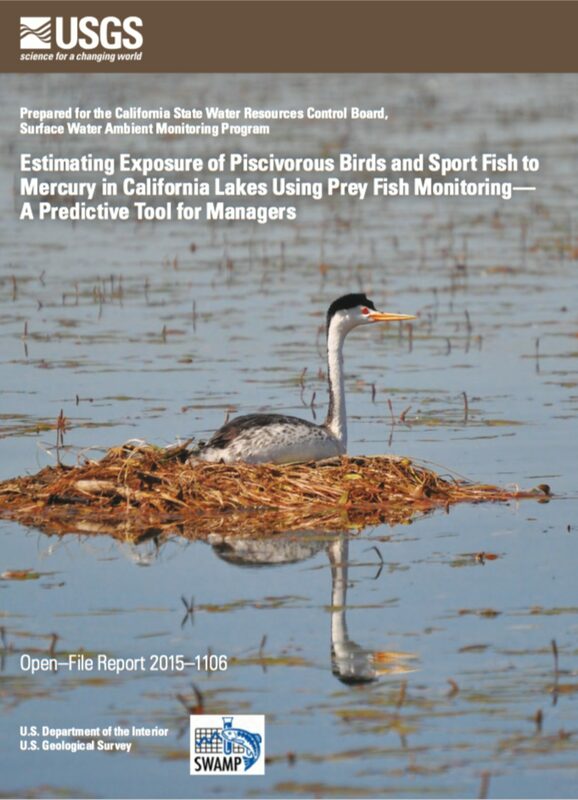 The work presented in this report is the first attempt the authors are aware of to relate landscape features to fish mercury concentrations using GIS on a large regional scale. Fish mercury concentrations appeared to be influenced by many complex and interacting factors that obscured any obvious correlations with atmospheric deposition, historic mining districts, and wetlands at the watershed scale. Some features seemed to have an influence at the proximal-scale (buffer) analyses, namely vegetated wetland and temporarily inundated aquatic habitat. Though these tentative conclusions were based on small sample sizes, they contradicted the prevailing notion that wetlands generally increase methylmercury accumulation in the food web. The lack of clear relationships in the dataset analyzed is probably due to shortcomings in the available data, rather than a true absence of influence of atmospheric deposition, mining, or wetlands on spatial patterns in mercury bioaccumulation. Future attempts to relate landscape features with mercury in the food web at the watershed scale should focus on watersheds with a stronger linkage between landscape features and mercury in fish and fewer confounding factors. Statewide monitoring of sport fish is currently being planned that should provide a better basis for conducting this type of analysis in the future. The widespread pollution from Gold Rush mining activities, including mercury, arsenic and lead, constitutes the oldest and longest neglected environmental justice problem in California. The effects of this pollution on human health and the environment are only now beginning to be addressed. do not provide site-specific advice for many locations people fish, or the species people eat. 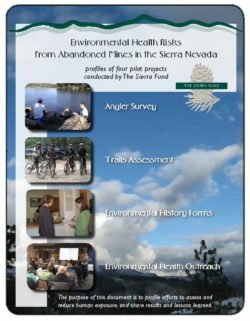 In 2006, The Sierra Fund, in partnership with California State University Chico, conducted a survey of Sierra clinics. This study found that not one of 13 surveyed clinics included information on mercury in fish as part of their maternal/infant health programs, whether caught locally or not. Additionally, the study learned that none of the clinics surveyed administer an environmental health history form, so it is difficult to connect current health problems to environmental exposures. 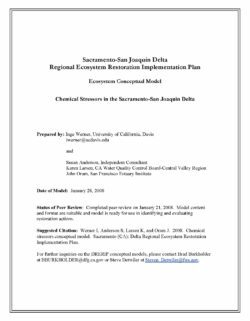 In order to address this lack of information and provide a springboard for more research, The Sierra Fund conducted three pilot studies of potential environmental exposures in 2009 and 2010 and a pilot outreach program to present these findings to Sierra communities in 2013-14. This report summarizes findings and recommendations from these efforts, in order to encourage continued research into these potentially serious health exposures. A number of spatial patterns were evident in this survey of watersheds from throughout California. Stream sediment concentrations of heavy metals, such as cadmium, copper, lead and zinc, tended to be highest in urbanized Los Angeles and San Francisco Bay area watersheds. 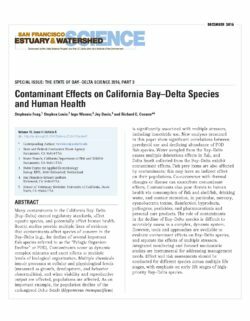 Metal concentrations in sediments from San Leandro Creek (SF Bay area), Ballona Creek and San Gabriel River (Los Angeles area) were among the highest in the state. These metals are released to the environment from brake pads, plumbing, industrial and commercial activities. 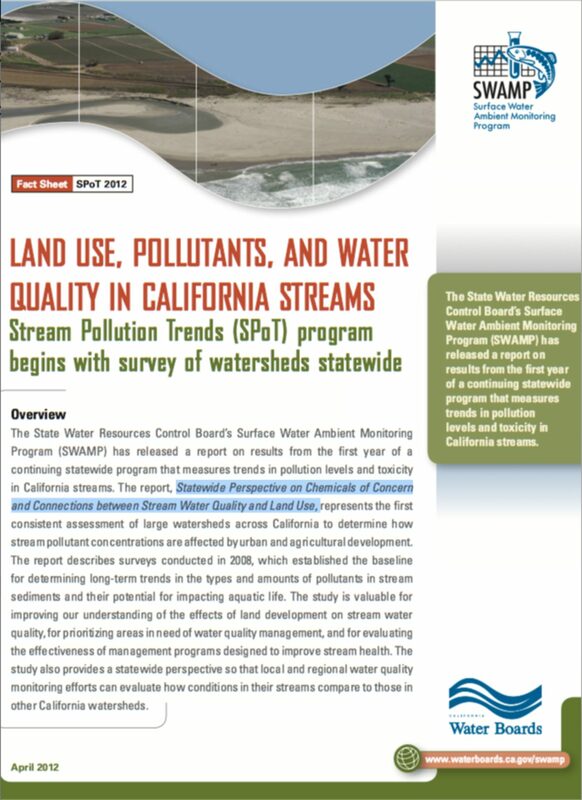 Industrial organic compounds such as PCBs (banned since the 1970s), PBDEs (flame retardants) and PAHs (hydrocarbons) were also generally highest in stream sediments from the Los Angeles and San Francisco Bay areas, though high concentrations were also measured in some more remote locations. In contrast to this urban pattern, mercury concentrations were highest in sediments from watersheds where it is geologically abundant and historically mined, though some urban streams also had relatively high mercury levels. The persistent legacy pesticide DDT was found in stream sediments from most urban and agricultural watersheds, where recent soil disturbance from development and tillage likely mobilizes DDT residues from applications more than 40 years ago. Pyrethroid pesticides are increasing in use in California and were detected in 55% of the samples statewide (51 of 92). The highest pyrethroid concentrations were measured in sediments collected from urban watersheds, plus two agricultural watersheds along the central coast. Approximately one quarter of the sediment samples collected were significantly toxic to amphipods, which are resident crustaceans representative of important aquatic food web links. Of these samples, 6.5% were identified as highly toxic. The highly toxic samples were collected from agricultural watersheds in the Tulare basin and central coast, in urban areas of southern California, and in the Tijuana River. Other toxic samples were collected from a wide range of watershed types, including those along the north coast, the Tahoe area, and urban and agricultural areas across the state. On a statewide basis, watersheds with greater than 10% urban land cover had consistently higher sediment pollutant concentrations and toxicity than did watersheds characterized by agricultural or other land cover types. Metals, industrial compounds, DDTs, and pyrethroid pesticides were all found at significantly higher concentrations in urban streams. This pattern is evident at the statewide level, but other local and regional studies have previously shown that pollution levels and toxicity can be strongly related to agricultural and other land uses in specific areas. This is because the “agricultural” land use category used in the SPoT analysis is comprised of many different types of crops and farming practices, and the amount of polluted runoff from these lands varies depending on the types of practices employed. Of the 390 sites sampled between 1998 and 2003, 32 percent fell into the “low” contamination category. These sites were scattered throughout the state, with a particular prevalence in the Sierra Nevada and the area north of San Diego. Unfortunately, the Delta region had relatively few sites with low concentration of pollutants. 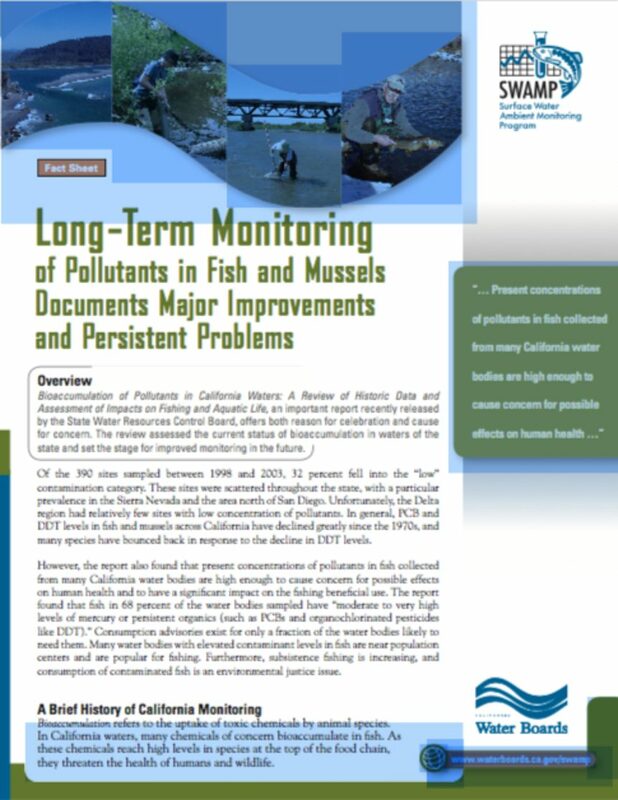 In general, PCB and DDT levels in fish and mussels across California have declined greatly since the 1970s, and many species have bounced back in response to the decline in DDT levels. 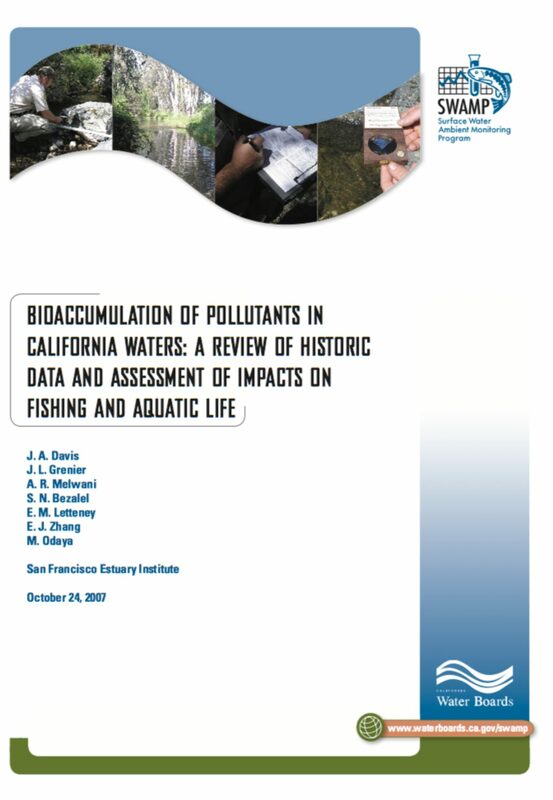 However, the report also found that present concentrations of pollutants in fish collected from many California water bodies are high enough to cause concern for possible effects on human health and to have a significant impact on the fishing beneficial use. 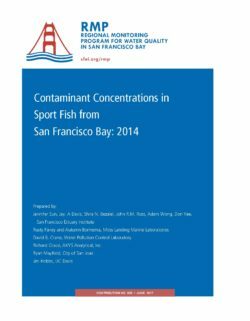 The report found that fish in 68 percent of the water bodies sampled have “moderate to very high levels of mercury or persistent organics (such as PCBs and organochlorinated pesticides like DDT).” Consumption advisories exist for only a fraction of the water bodies likely to need them. Many water bodies with elevated contaminant levels in fish are near population centers and are popular for fishing. Furthermore, subsistence fishing is increasing, and consumption of contaminated fish is an environmental justice issue.